While the bulk of consumers’ and retailers’ focus is on whiskey, another brown spirit is also on the rise and poised for continued growth in the coming years. Brandy and Cognac sales were up 5.6% in 2015, with Cognacs leading the way at 13.5% growth. For brandy, it’s two different stories for domestics and imports. Imported brandy sales were down 3.0% for leading brands last year, with Pernod Ricard USA’s Presidente the only top brand to show growth (the brand is down nearly 50% from its 2010 sales). Leading U.S. brandies outpaced their global competitors, rising 3.2% and led by a strong year from Constellation’s Paul Masson. Overall, the category is still dominated by E & J and Hennessy, with the latter poised to overtake the former in total sales during 2016 if it continues to grow at its current pace. In 2015, Hennessy was only 140,000 cases behind E & J, but it grew by more than 400,000 cases compared to 2014 while E & J only increased by 15,000. Overall, the category is still dominated by E & J and Hennessy. Following its 2012 launch, Bacardi’s D’Usse Cognac introduced VSOP ($50) and XO ($230) in 2014. VSOP is a blend of Cognacs aged at least 4.5 years in French oak barrels in both dry and humid cellars, while XO is a blend of hand-selected eaux-de-vie aged a minimum of 10 years in French oak casks and features the Cross of Lorraine on the bottle. This year, the brand released a limited-edition box for holiday sales. The gift box doubles as a bottle glorifier for home bars. D’Usse has also created window graphics, counter wraps and other store customization pieces for retail this year. And Bacardi’s mixology team also created a number of classic winter cocktails with D’Usse as the main ingredient. Beam Suntory’s Courvoisier updated its offerings this year. Louisville-based Copper & Kings American Brandy offers a full lineup of craft bandy. The company, founded by the entrepreneurs behind Crispin Hard Cider and NutriSoda, uses copper pot stills to distill wine at a low temperature and non-chill filter the resulting product. The portfolio includes American Brandy ($35), Butchertown Reserve Cask Brandy ($60), Immature Brandy ($30) and Un-Aged Apple Brandy ($30). This year, Copper & Kings also released Floodwall American Apple Brandy ($40 and 100 proof). The latest line extension is a blend of distilled apple wines made from Michigan apples, aged in Bourbon barrels and sherry casks for a minimum of four years. 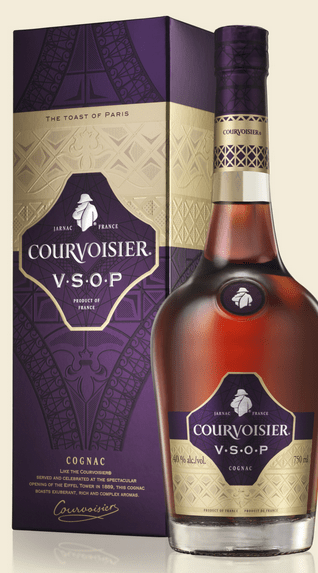 Beam Suntory’s Courvoisier also updated its offerings this year with the introduction of new bottles, labels and packaging for its portfolio just ahead of National Cognac Day in June. The new packaging is purple and gold, with newly-designed labels for the VS, XO and VSOP bottles, the last of which also features a new shape as well. MS Walker and Maison Monteru announced the launch of three ne Limited Release, rare cask brandies for Monteru: Sauternes Cask, Sherry Cask and Triple-Toast Cask, each with an MSRP of $58. Monteru is hand-crafted in France in copper pot stills. These 2016 releases will be followed by a series of Single Varietal Grape brandies in the coming year. 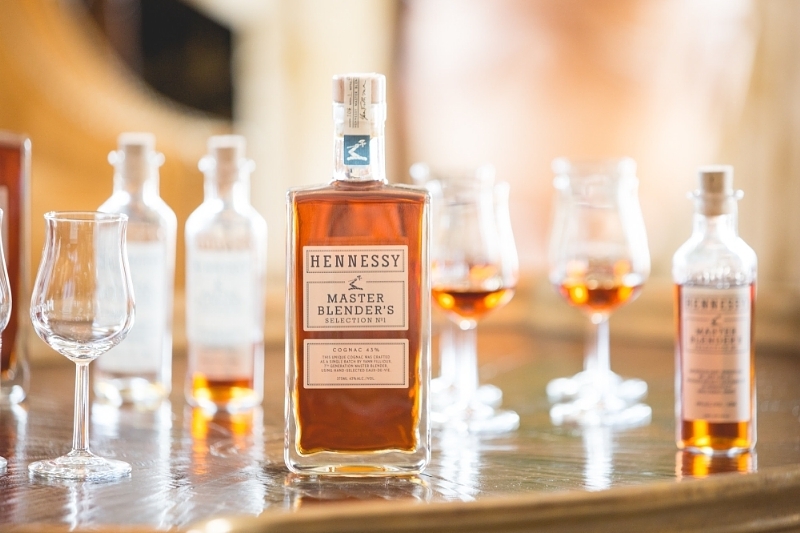 Category leader Hennessy’s Master Blender Yann Fillioux recently announced Master Blender’s Selection No 1, the first in a series of single-batch bespoke Cognacs for the Moet Hennessy USA brand. The new blend, created with eaux-de-vie aged in both young and old French oak casks and bottled at cask strength, is available exclusively in the U.S. market for $80. Jeremy Nedelka is Editor of StateWays magazine.